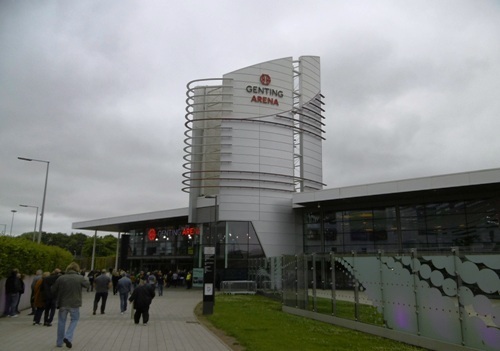 A mouth-watering night of rock from the dark side is in store at Birmingham's Genting Arena on June 16, 2018. Music and film royalty Hollywood Vampires headline at the venue, supported by The Darkness and The Damned. Shock-rocker Alice Cooper, Aerosmith guitarist Joe Perry and A-List movie star Johnny Depp are the backbone of Hollywood Vampires. Their story can be traced back to the 1970s, on Los Angeles' Sunset Strip, at the Rainbow Bar & Grill's upstairs bar, the gathering place for rock stars living in or passing through the city. Explains Alice Cooper: ''To join the club, one simply had to out-drink all of the members. I would walk in on a typical night and John Lennon, Harry Nilsson, Keith Moon – who would usually be in a costume like a maid or a chauffeur – Bernie Taupin and Mickey Dolenz would be there." Fast-forward four decades to 2015 – Alice and good pal Johnny Depp got together and decided the spirit of the Hollywood Vampires should live again (minus the drinking). They were joined by long-time mutual friend Joe Perry and the recording began: a tribute to the original Hollywood Vampires. The eponymous studio album featured contributions from a host of artists, including Sir Paul McCartney, Dave Grohl, Joe Walsh, Slash, Robbie Krieger and Zak Starkey, and featured versions of classic tracks like School's Out, Whole Lotta Love and My Generation. The group's debut live performances were held at West Hollywood's Roxy Theatre on September 16 and 17, 2015. On stage with the three core members were bassist Duff McKagen, drummer Matt Sorum rhythm guitarist Tommy Henriksen and keyboardist Bruce Witkin. The shows gave the band a thirst for more. They subsequently headlined the Rock in Rio festival and toured the globe in 2016, visiting more than 23 cities in seven countries. Joining Hollywood Vampires on their UK tour, which begins in Birmingham then visits Manchester, Glasgow and London, will be The Darkness and The Damned. 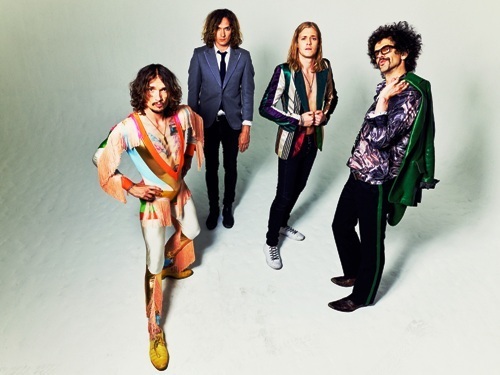 The Darkness toured Europe last year, supporting Guns N' Roses, ahead of the release of their latest album, Pinewood Smile. Their history goes back to 2003 when they released their debut album Permission To Land to overnight success, topping the UK charts, going 5x platinum and selling over 1.5 million copies in the UK. It spawned a series of hit singles including I Believe In A Thing Called Love, Growing On Me, Get Your Hands Off My Woman and Love Is Only A Feeling. The Damned's history goes back even further. Formed in 1976, they released the first British punk single and album and broke further new ground, being the first UK punk act to tour America. 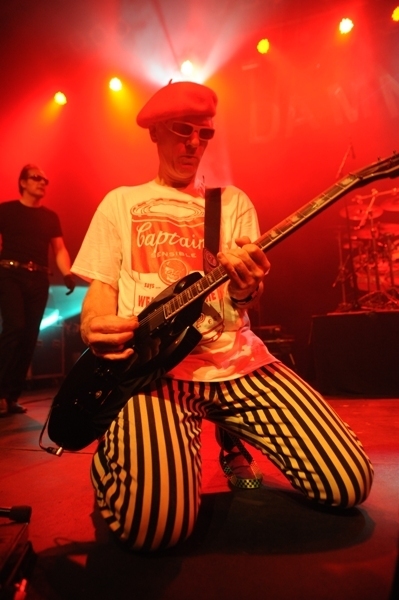 The Damned still receive their dues in the US, where they are often cited as a major influence on many future rock acts, including Black Flag, Bad Brains, Green Day, The Offspring and Guns N' Roses. Still recording, their latest album, Evil Spirits, has just been released.